Country 102.5’s Street Party #2 invaded Boston’s legendary Lansdowne Street yet again with another all day country concert that rocked the walls of Fenway. The outstanding country line up included Lindsay Ell, Michael Ray, Maren Morris, David Nail and Old Dominion. Image Production Services was on hand as usual to support the mega event with a 20’-8MM LED wall, mobile staging, lighting, video, and multi camera support to insure an outstanding event for the thousands of fans in attendance. 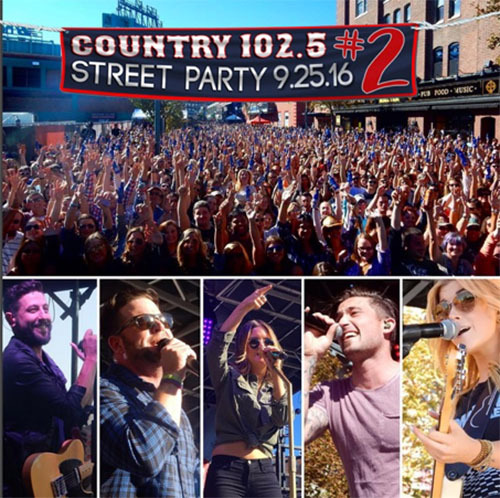 The 102.5 Street Party was an excellent way to close out Image’s busy summer festival season with a bang.